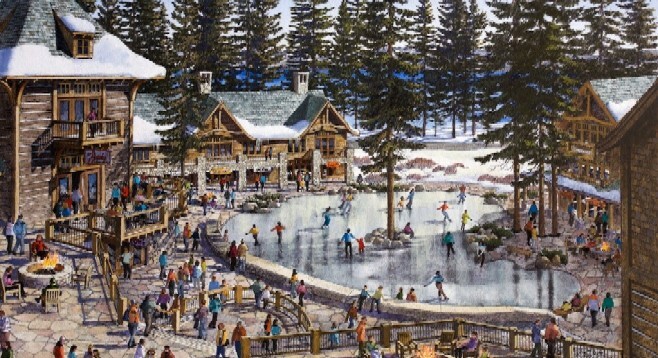 The Homewood Mountain Resort Master Plan was approved on Wednesday, December 14th. Homewood is a 50 year old resort that is looking to upgrade their Base and Mid-Mountain. The Board of the Tahoe Regional Planning Agency approved the redevelopment plan that is set to begin construction in 2014. The master plan includes a parking structure, new lifts, retail space, pool, ice rink, and new housing units. Many of the area residents are concerned with the increased traffic the development will bring. The plan pledges to “Implement a robust transportation program to reduce traffic congestion by making it convenient for guests, employees and locals not to use their cars”. The transportation program includes new hiking/biking trails, water taxi, dial a ride, shuttle services, and bike and electric car rental.